Close Up Of Salad, Which Is Being Eaten By Young Lady In Restaurant, Slow Motion. Close up of salad, which is being eaten by young lady in restaurant, slow motion. 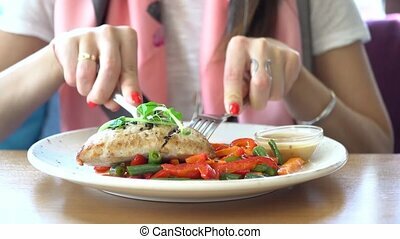 Woman in blue shirt is using steel fork to pick up the pieces of chicken, bacon, chees and potatoes, which are mixed in white plate on wooden table. 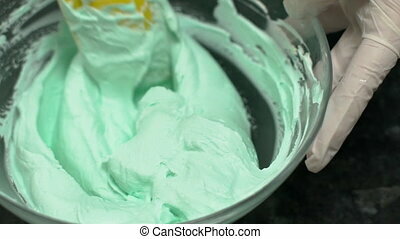 Close up of salad, which is being eaten by young lady in a restaurant. 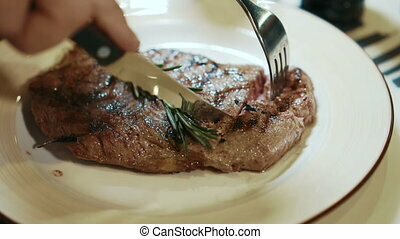 Close up of delicious steak, which is being cut in expensive restaurant, slow motion. 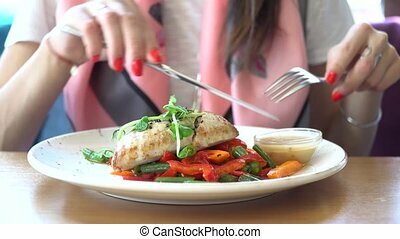 Male client is separating pieces of tasty red meat on white plate, decorated with green rosemary, by steel knife and fork in his hands. 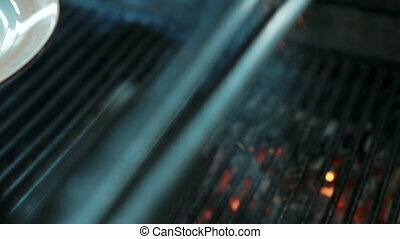 Close up of beef steak, which is being taken away from bbq in the restaurant, slow motion. Chief is moving delicious piece of meat from the black grill station to decorated beautiful plate, which the professional holds by his hand in black glove. 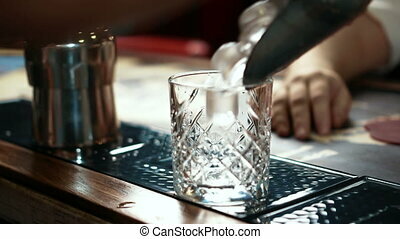 Close up of whisky glass being fulfilled with ice in stylish bar, slow motion. Barmen is putting pieces to the cup, which is standing on the counter, by steel scoop in his hands and male customer is waiting for his drink at opposite side. Close up of yellow liquer is being poured to steel shaker from measure glass in modern bar, slow motion. 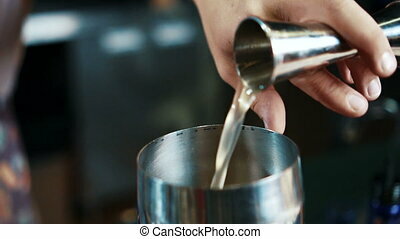 Barmen is inclining the cup by his hand and delicious drink is falling to the equipment for cocktails. Close up of delicious asian dish is being placed to the wooden table by waitress in the restaurant, slow motion. 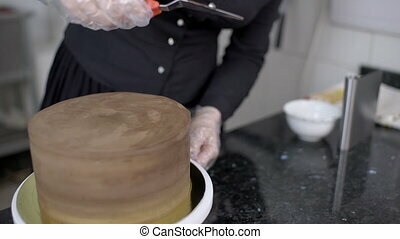 Female stuff is placing black pan with meat and vegetables to the desk by her hands with rings on fingers. Close up of two people, who are eating salad in the restaurant, slow motion. 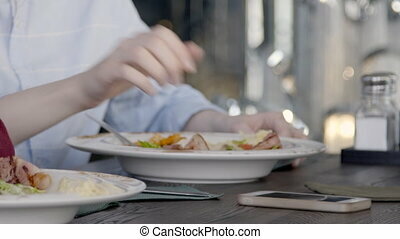 White plates with delicious dish are standing on wooden table and people are using steel forks. Woman in blue shirt is taling brand-new smartphone from the desk. brunette woman dances belly dance in restaurant in light of soffits. Young attractive lady in yellow costume, which consists of tight long skirt with fringe, brassiere, cloth on arms. All parts of costume are decorated by rhinestones, sequins, crystals, shine with each step. Dancer appears in front of us shaking booty, moves up and down, jolting breast, slowly rocks hips from left to right. She is on scene, we see wooden colorful balcony, stained glass window.